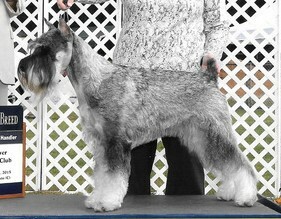 Sire and dam are OFA: Hips Good; CERF (eyes): Normal (Clear); DCM: Negative (Normal). 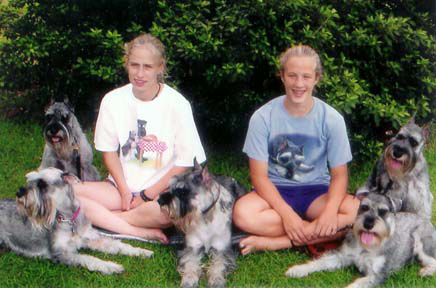 Contact Lovey Lyons at loveylyons@msn.com or 757-657-6564 and leave message. 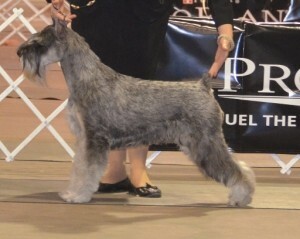 Located in the Holland section of Suffolk, Virginia, Hidden Creek’s Standard Schnauzers is a breeding, showing kennel. 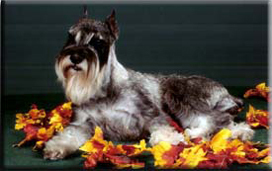 We breed to the standard set by the Standard Schnauzer Club of America (SSCA), and for the improvement of the breed. 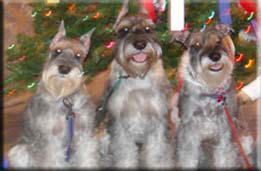 Our dogs are shown in the conformation and obedience rings. We strive to provide both loving family pets and outstanding show dogs for our clientele.Hidden Creek’s Standard Schnauzers offers more than twenty years experience in breeding and thirteen years showing award-winning Standard Schnauzers.